Newsletter FREE Medit i500! An EDS Exclusive Promotion. LIMITED TIME OFFER! FREE Medit i500! An EDS Exclusive Promotion. LIMITED TIME OFFER! You read that correct! 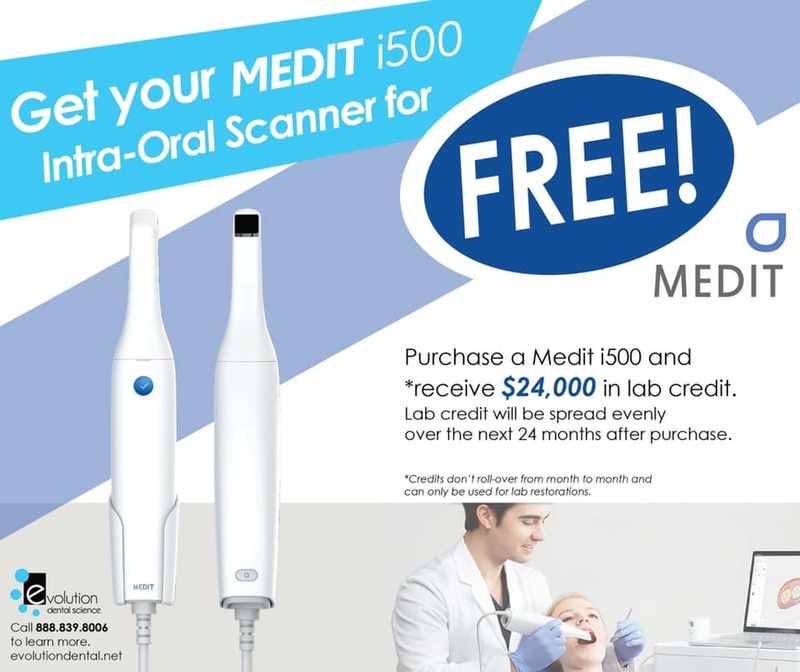 FREE Medit i500 Intraoral Scanner. We will give you $1000 a month for 24 months in lab credit in order to pay you back for your new intraoral scanner! For those looking for a no-brainer investment with 100% of your investment being offered back to you over a monthly bases. Not to mention, all digital impressions receive reduced costs on most restorative solutions. Reimbursements must be used during each monthly billing cycle. In order to enroll go to evolvedentistry.com/product/medit-i500/ and click on "I want to enroll in this promotion." when checking out.